Speaking at the 2015 TAXI Music Road Rally - Erin M. Jacobson, Esq. « How Do You Prove That Someone Stole Your Song? On November 7, 2015, I spoke at the TAXI Music Road Rally on music library contracts. I began the session by explaining the most important and common deal points in music library contracts, and then discussed specific contract clauses and wrapped up by answering questions from the audience. Many songwriters and composers came up to me after the session to tell me how helpful the session was for them. I am so grateful I was able to be of service to them! Erin M. Jacobson on stage with TAXI CEO Michael Laskow at the 2015 TAXI Music Road Rally. Client Rob Christie of Robo Records came out to show some support! Was this article helpful to you? Please share it with others who could also benefit from this information. 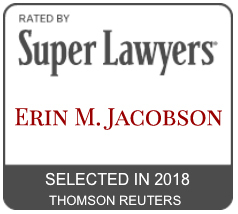 Erin M. Jacobson is is an experienced deal negotiator and a seasoned advisor of intellectual property rights who protects artists, songwriters, music publishers, and other music professionals. Her clients include Grammy and Emmy Award winners, independent artists and companies, and distinguished legacy catalogues, as her knowledge of both classic music and current industry practices places her in a unique position to protect and revitalize older catalogues. She handles all types of music industry agreements, with an emphasis on music publishing. In addition to being named a Super Lawyers Rising Star and one of the Top Women Attorneys in Southern California, Ms. Jacobson is a frequent author and speaker, and has been featured in publications, including Billboard and Forbes. She also is on the Board of Directors for both the California Copyright Conference (CCC) and the Association of Independent Music Publishers (AIMP).